Jermaine Rogers’ latest art print “The Transition” goes up in his shop tomorrow. 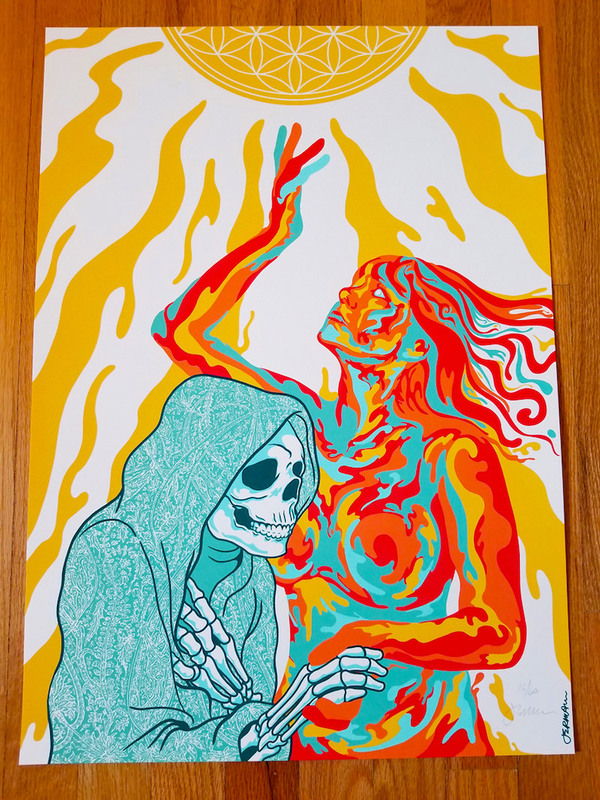 It’s a 24″ x 17″ screenprint, has an edition 75, and costs $60. It goes on sale tomorrow Thursday, June 21st, at 3pm EST. visit his shop.